Its been barely a week since Big Bazaar decided to drop Cadbury Plc.’s products from its stores’ shelves. Now it seems Pantaloon Retail (India) Ltd wants to launch its own line of chocolate products. The company that runs Big Bazaar stores plans to “test-market” its own chocolate products during Raksha Bandhan, a popular Hindu festival that falls in mid-August. The chocolates will be sold under the ‘Tasty Treat’ brand name. Pantaloon plans to source the product from an unnamed chocolate manufacturer. The launch would supposedly be restricted to some stores as part of the test marketing before the products hit hundreds of company-owned stores nationwide. 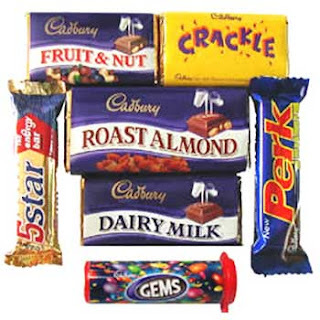 Would the Big Bazaar brand of chocolate make a dent in Cadbury or Nestle's dominance of the chocolate market in India? I doubt it, since 'brands' play an important part in chocolate purchases. Both Cadbury and Nestle have extremely strong brands in the Indian market that evoke positive quality perceptions in minds of consumers, never mind the 'worm controversy'. Private labels may work among commoditised products. Chocolates far from falling into the 'brand commoditisation' trap, are 'differentiated' and enjoy strong recall. I think Big Bazaar's reputation of value for money would spill over and work positively on the new choclates. If the taste, price and quality is good it would pick up slowly. It is also interesting to see how quick Big Bazaar came up with an alternative solution. May be they were planning for this. Can this be a knee jerk reaction or a well planned and thought strategy? Any comments on this please.